For those in need of an all-in-one countertop cooking station, the MaxiMatic ERO-2008S definitely fits the bill. You can cook on the griddle top, roast a whole chicken in the rotisserie, bake cookies, or even steam fresh veggies for a side at dinner. The included dome lid also allows that griddle to double as a warming station for food that is ready to serve while other dishes are still being prepared. 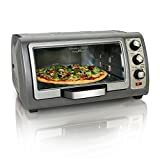 Additionally, thanks to the numerous presets for this toaster oven you never have to guess how long to cook any item, whether it is a frozen pizza or a whole chicken on the built-in rotisserie. The ERO-2008S truly is an exceptionally useful addition to any kitchen where a self-contained cooking station separate from your stove-top range and oven, or if you are trying to save energy when cooking individual meals. Imagine that you can have a toaster oven oven that not only allows you to toast or bake your favorite foods but also have other cooking functions that you can grill hot dogs, fry eggs or pancakes. 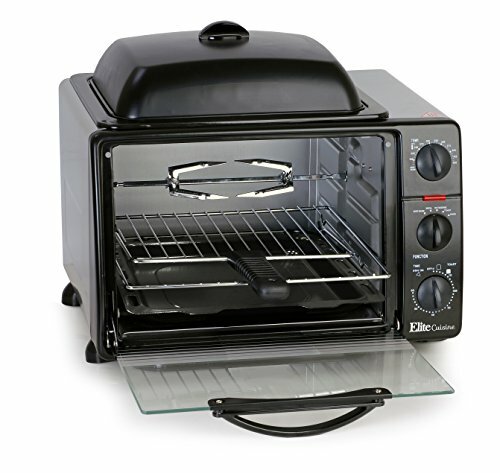 The MaxiMatic ERO-2008S Toaster Oven with Rotisserie and Grill/Griddle Top can provide you this benefit without having to pay for two different appliances. This article will evaluate its key features, pros and cons that make it one of the best toaster ovens under $100. The feature that immediately stands out about this toaster oven is the spacious non-stick griddle that is built right into the top. Any manner of food for any meal can quickly and easily be prepped on top of this heated surface, adding the general utility of the unit overall, and making better use of both counter and storage space than keeping two separate appliances. It also removes for easy cleaning with warm soapy water. Best of all, thanks to the included dome lid the griddle also makes an excellent warming station for when you need to keep dishes warm while the rest of your meal finishes cooking. There are few days that cannot be improved by the addition of a perfectly seasoned, golden-brown rotisserie chicken with sublimely crisped skin. The MaxiMatic ERO-2008S comes with everything you need to add delicious rotisserie cooked cuts and joints of meat in your own home whenever you want them. All you have to do is use the included spit and forks to balance your meat, add seasoning to taste, pop it in the ERO-2008S, and turn the preset knob to the appropriate setting. When your food is done, the oven automatically shuts off and rings a bell. Succulent rotisserie-style meats have never been easier or more energy efficient. 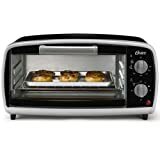 Various cooking functions are one of the top things you have to consider when buying a toaster oven. This toaster oven offers you many cooking features to choose from grilling, baking, broiling, toasting, steaming and rotisserie. You can cook inside the oven while also cook on the top simultaneously. 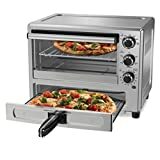 The oven comes with a roasting pan and a grill rack to use inside the oven and the nonstick grill and griddle with dome lid on top of the oven, allowing you to cook any kinds of food you want. 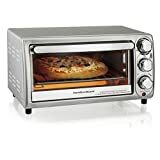 When most individuals buy a new toaster oven, there is generally a period of time where you try to determine just how long to bake, roast, broil, or steam your food in the appliance without leaving bits of it still cold or burning the entire thing to a crisp. Thanks to the MaxiMatic’s innovative design. You just need to find the dish you are preparing on the preset knob, give it a twist to the correct setting, and your food is ready when it is thoroughly cooked to perfection. No guesswork, no waiting and checking for overcooking every few minutes, just hot food ready to eat with no hassles. Honestly, one of the best features of this toaster oven is the number of included accessories that come in the box. An oven top dome lid, wire grill rack, roasting pan, pan removal handle clip. A slide out crumb tray for easy cleaning, tongs for removing the rotisserie, and a complete spit and fork assembly are all ready to go as soon as your toaster oven is set up on the counter. All accessories are of the highest quality, and will give you years of exceptional use and durability. Who would love this toaster oven? Individuals and smaller families who need extra cooking capacity for preparing components of large meals in addition to their oven and stovetop. It’s also great for impromptu pancakes or breakfast for dinner, as well as keeping side dishes hot while the main course is still cooking. For singles or college students, this is a fantastic way to be able to cook an individual meal of practically any variety quickly and easily without heating up the entire living space or making a lot of messy dishes and pans to clean up. Who would this toaster oven not be ideal for? Larger families or individuals with limited kitchen counter space, or with limited kitchen storage for when the toaster oven is not in use. While the Maximatic ERO-2008S is an excellent kitchen appliance, it does take up quite a bit of space in the kitchen. This can make it a poor fit literally and figuratively for those with limited space for such devices in their home. It is also limited in the portion sizes it can prepare, making it less than ideal for large families that are looking to prepare or warm enough of a side dish for the whole family.